Looking for an apartment in Wichita? Take a virtual tour, view photos and floor plans. 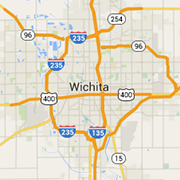 Find your perfect Wichita apartment, condo, townhome, loft or rental home. Residents enjoy daily activities including exercise class, bingo, monthly breakfasts, birthday parties and suppers.